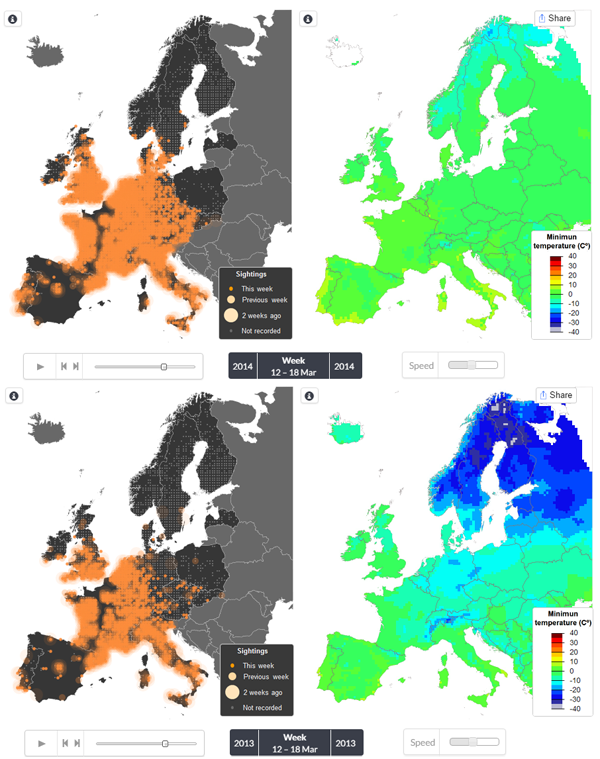 As exemplified by the Common Chiffchaff, the new EBP animated maps nicely depict how several partial migrants moved northward much earlier during 2014 than in other recent years. Interestingly, the pattern parallels that of temperature: 2014 being the third warmest winter and the warmest spring in Europe since 1950 and, overall, the hottest year on record. Common Chiffchaff observations and minimum temperature during mid March 2013 and 2014.